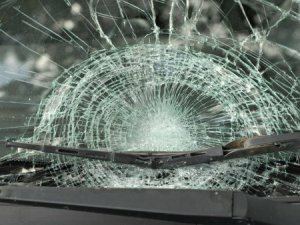 Car Crash Kills One, Leaves 7-Year-Old Boy With Severe Injuries | Schuler, Halvorson, Weisser, Zoeller & Overbeck P.A. An 81-year-old woman suffered fatal injuries, and a 7-year-old boy sustained critical injuries after a car crashed into a driveway in West Palm Beach, police said. Emergency services arrived at the scene of a fatal accident which claimed the life of an 81-year-old woman. The accident occurred along 45th Street and left a trail of damage in its wake. The 81-year-old woman traveled eastbound on 45th Street when she left the outside lane and drifted toward the shoulder of the road. Subsequently, the car continued on its trajectory, crossing the intersection and climbing onto the curb; the vehicle crashed through a fire hydrant in the process. According to police reports, the car finally came to a rest after it mowed down a fence and crashed into a parked car in the driveway. The two occupants of the car sustained severe injuries in the crash. Paramedics arrived at the scene of the accident and attended to the survivors. Consequently, paramedics rushed the elderly female driver to St-Mary’s Medical Center. Sadly, all efforts to revive the 81-year-old proved futile; officials pronounced her dead at the hospital. Meanwhile, emergency crews transported the second occupant of the car, a 7-year-old boy, to the hospital with life-threatening injuries. He is said to be in critical condition at the moment. Authorities have yet to release information on the cause of the crash. The Palm Beach Sheriff’s Department is handling the investigation.